In an earlier Interpreter article I argued the need for policy makers in the US and elsewhere to consider not only the now well-rehearsed and well-founded risks of attempting to compel Pyongyang to give up its nuclear weapons, but also the often overlooked but equally well-founded risks of attempting to live with North Korea as a nuclear-armed 'great' power. My point was to emphasise not only the terrible dilemma posed by Kim Jong-un's nuclear program, but also the importance of openly and honestly debating which of the two evils it presents is the lesser – living with or thwarting Kim's nuclear weapons capability. This debate requires clearly stating and examining the core assumptions of both positions. Robert Kelly's recent article makes an important and welcome contribution towards this end. Those arguing for containment and deterrence of a nuclear-armed Democratic People's Republic of Korea, as Kelly and others have, assume that doing so can work because the Kim regime is defence-oriented and not expansionist. North Korea is, in Kelly's view, a status quo state. It follows from this assumption that if Kim Jong-un is indeed status quo-oriented in his thinking, the risks of compelling him to give up his nuclear weapons certainly do appear much greater than the risks associated with deterrence and containment, making deterrence the least bad option. But is there really a strong, or even plausible, case for making this assumption in the first place? Status quo states are commonly understood to be risk-averse. These states recognise, within a given status quo, a level of attainable security that is at least tolerable enough to outweigh the risks of seeking more security by attempting to alter the prevailing circumstances. Status quo states, then, to paraphrase academic Randall Schweller, value what they have more than what they covet; they seek to preserve their power and position rather than increase or improve it. Revisionist states, by contrast, are power maximisers that believe they can never be secure within the status quo and thus are compelled to change it through the never-ending acquisition of greater material power and the willingness to use it against status quo states. Revisionist states can be motivated by either ideological zeal, ideas of manifest destiny and/or a pervasive sense of insecurity under the existing order's principles and distribution of power. Revisionist states are all, regardless of motivation, risk takers, or what Henry Kissinger described as revolutionary states, or what Columbia University professor Robert Jervis saw as essentially chronically insecure states – states that cannot be placated or made to feel less insecure regardless of attempts by others to accommodate them. Revisionist state are much more risk tolerant than status quo states that normally will only risk conflict if faced with a clear and present threat – and perhaps not even then. With this distinction in mind, the following observations on North Korea's circumstances and behaviour cast significant doubt over the case Kelly makes for treating North Korea as status quo. Neither the US, its allies, China, nor any other state has made any attempt to overthrow the Kim dynasty, at least not for several decades. To the contrary, the popular wisdom in Washington and elsewhere has been that overthrowing the regime would create more problems than it would solve, making containment of North Korea and not regime change the long-preferred approach. Further, the major reason cited by those opposing military action is North Korea's ability to inflict intolerable casualties on the South. Kim Jong-un, rightly it seems, believes his ability to pound Seoul is an effective deterrent to US military action. So why would he see the very risky and expensive pursuit of long range nuclear weapons as necessary if his motivations are in fact only defensive? Second, North Korea also enjoys the long-standing protection of a great power patron in China, along with increasing diplomatic support at least from one other great power, Russia. Kim Jong-un has good reason to be confident in China's continued support given that North Korea's survival as a bulwark against US influence on the Korean Peninsula is – and will most likely remain – a core Chinese strategic interest. Third, all of the above factors operating in favour of the Kim regime's security are actually threatened or weakened by its nuclear capability ambition. In this sense, Kim Jong-un's nuclear weapons and aggressive posturing have made him less safe than he was before launching his recent round of nuclear and intercontinental ballistic missile tests. Finally, North Korea's posturing is difficult to reconcile with the risk-averse behaviour of a status quo state; it is, however, a good fit with the risk-tolerant and power-maximising behaviour attributed to revisionist states. Kim Jong-un clearly is not risk-averse. All the indications are he values what he covets far more than what he already has. 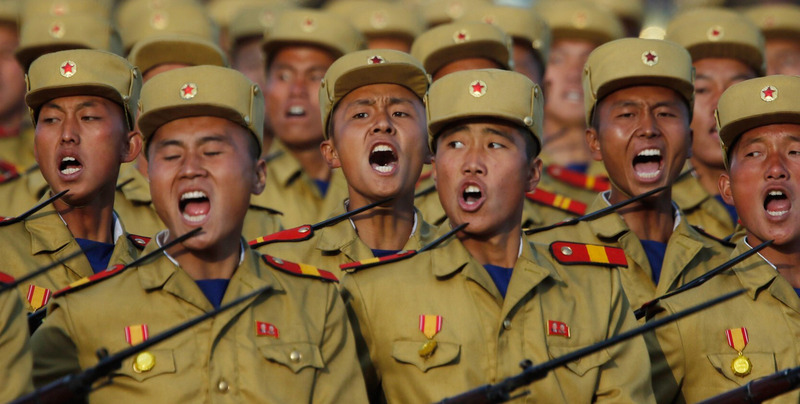 There is then at least a strong case for not treating North Korea as a status quo state. This translates into an equally strong argument against assuming Kim's intentions are defensive and thus also containable, even with a long range nuclear capability and his brutal and ruthless character. There is also good reason to believe that the goals of Kim Jong-un are revisionist, that he is pursuing great power status for his country, and that he also will be ambitious in the way great powers normally are. Reunifying the Korean Peninsula under Pyongyang's terms and coercing concessions from the US and others will very likely figure prominently among those ambitions. Xi Jinping will soon announce his key slogan to take its place in the Chinese Communist Party charter alongside those of Mao, Deng, Jiang and Hu.